Obituary for Dr. James E. Rogers PhD | Cremation & Funeral Service by Gary S. Silvat, Inc.
Dr. James Edward Rogers, Ph.D. (Jim) was born in Warren, Ohio on June 11, 1935 the son of James and Mattie V. (Sanders) Rogers. He departed this life on February 10, 2019 age 83 at St. Elizabeth Youngstown Hospital. Dr. Rogers is survived by his children, Jordan Rogers of Florida, James E. Rogers, II of California, (step-son) Damon (Rosie) Lee of Ohio, Shante (Antoine) Frazier of Ohio and Capt. Justin Rogers of Maryland and grandchildren, Skye of Florida, Jasmine, Camille and Sebastian of Ohio, Shannise, Aaliyah and Aubree of Ohio and Adina, Micah and Lilah of Maryland. Dr. Rogers graduated with Honors from Warren G Harding High School in 1954. During his Senior High School year, he was Vice President of the Student Body. He was a three-year varsity letterman in football and voted outstanding male athlete of his senior class, 1954. 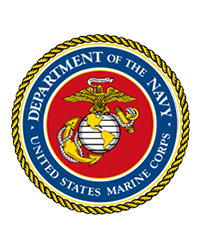 He served in the United States Marine Corps Reserves from 1952-1960, and also received an honorable discharge. Dr. Rogers believed that knowledge is power and education equals success. He received B.A. in Social Science in 1966 at Azusa Pacific College, Azusa, California. He attended New York University and received Certificate of Completion in Management and Administration in 1966. He received Masters Degree from Drake University in Des Moines, Iowa Graduate studies in Sociology from 1968-1970. He received his Masters Degree Case Western Reserve University M.S.L.S., Information and Computer Science in 1972. He received Ph.D. in Information and Computer Science from Case Western Reserve in 1976. Throughout his life, Dr. Rogers has served on many boards of various community organizations and agencies. Calling hours will be held on Saturday, February 16, 2019 from 1:00 PM until the time of the Funeral Service at 3:00 PM in the Galilee Apostolic Church, 3939 Potomac Ave., Austintown, OH 44515. Arrangements by Cremation & Funeral Service by Gary S Silvat Inc. Send condolences to Dr. Rogers' family by visiting: www.cremateohio.com.